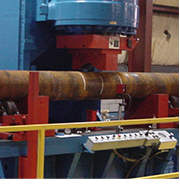 Northlake provides a variety of services that allow us to handle any of your cold finished, round steel bar needs. Whether you provide the raw material, or would like Northlake to supply the complete product; we would be happy to handle your requirements. We have years of experience with cold finished bars, which uniquely enables us to meet the demands of each specific order. 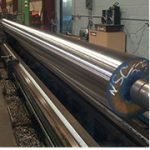 Contact us today with your steel bar length, diameter, and mechanical property requirements. Click here to read even more about what cold finished bars are and how they’re made.